At no more than 12 weeks old, a baby boy was found in a box on a staircase in the Russian town of Obninsk. The box was originally meant for a stray cat to live in, but upon finding the baby, the cat was too worried to leave its side. 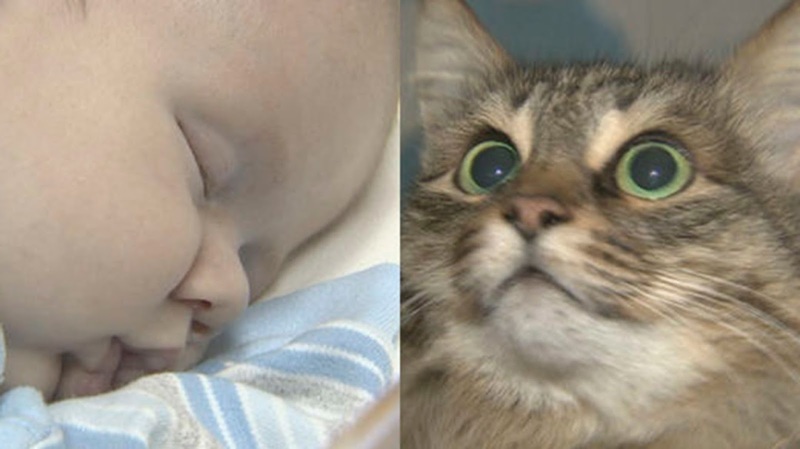 The baby and cat were discovered by one of the neighbors who thought she heard a loud meowing. She expected to rescue the cat from someone attacking it but was shocked by what she found. “She has been keeping the baby warm for several hours and meowing to call for help,” she told Ruptly video agency. The cat has been living in the apartment for 3 years and is credited with keeping the baby warm in the freezing temperatures of the Russian winter. “When an ambulance worker took the baby to bring him into the car, the cat followed him and pitifully meowed,” the neighbor said. The cat jumped into the ambulance and followed the boy to the hospital. “We have received a lot of feedback from sympathizing residents, who are willing to help and ask if any food, toys and other things are needed,” a pediatric nurse told Ruptly.